The advanced bilayer Sustain™ tablets combine 1/3 Quick Release and 2/3 Sustained Release formats to both immediately raise and maintain blood levels over a longer period of time. 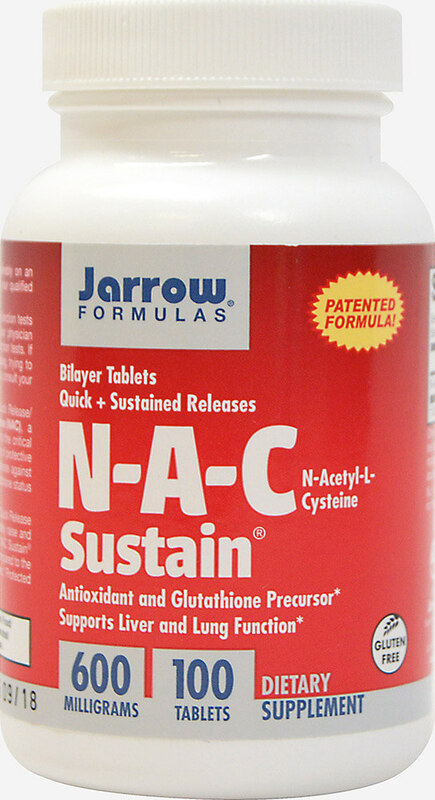 * NAC Sustain® releases in the small intestine over an 8 hour period, compared to the 1.5 hour biological half-life of NAC in the bloodstream. * Protected by U.S. Patent # 6,623,754.